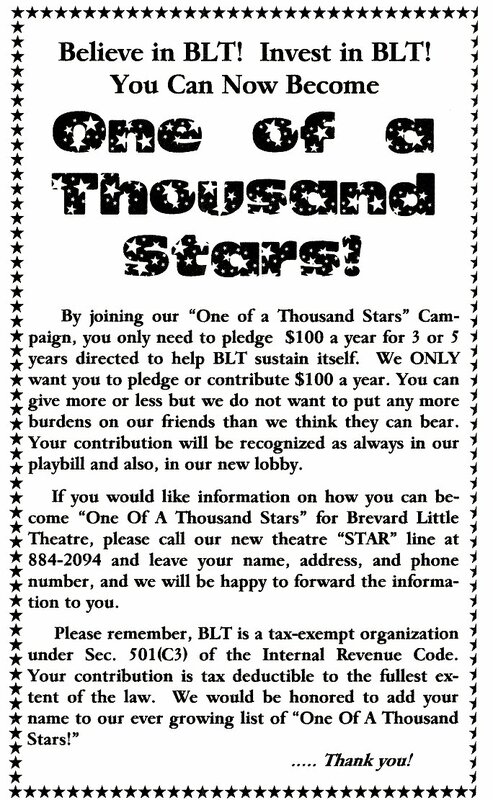 interested in participating in BLT's "One of a Thousand Stars!" This number should not be used for other BLT-related calls. continue to call our 884-2587 Box Office number. Community Auditorium.) Be a part of it.